Stock, Semi-Custom, or Custom Cabinetry? Hi, Jim Coshow here with Dunn Lumber. Today we're welcoming Cindy Draper to the Dunn Solutions blog to offer her insight about the differences and advantages of stock, semi-custom, and custom cabinets. Cindy is a marketing manager for Canyon Creek Cabinet Company, a recognized leader in the kitchen and bathroom cabinet industry. Dunn Lumber is proud to offer fully-customizable cabinets by Canyon Creek. Here's Cindy. 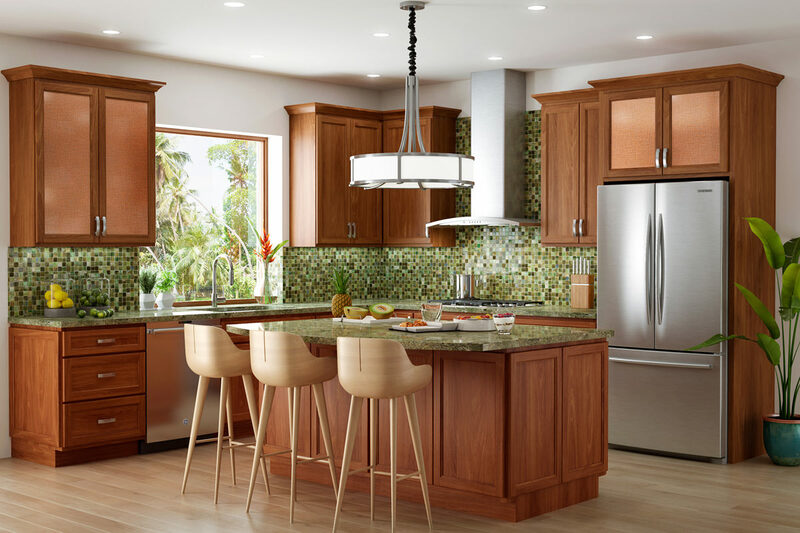 One of the major decisions you’ll have to make when selecting your new cabinets is whether to choose “stock,” “semi-custom,” or “custom” cabinets. There are many differences between the three, most notably cost, quality, selection, lead time, and finishing process. Stock cabinets are like those often found at big-box stores, pre-manufactured in standard sizes and materials. The door styles, finishes, wood, and material choices are limited, and customization is not available. Because they are mass produced, stock cabinets generally have a shorter lead time as they are built, cartoned, and warehoused at a distribution center ready for quick delivery to home center stores. While stock cabinets will usually be at the opening price point, your design will be limited to fitting pre-determined cabinet sizes into your space. Wood fillers (a piece of wood used to fill in the extra space) are usually needed as part of the design to make the cabinets appear to be a seamless fit. Semi-custom cabinets offer not only an expanded choice of the standard cabinet configurations available with stock cabinetry, but also the ability to modify the widths, heights, and depths of the cabinets to better fit the dimensions of your room. There are usually more door styles, woods, materials, finishes, and storage and organizational accessories to choose from. 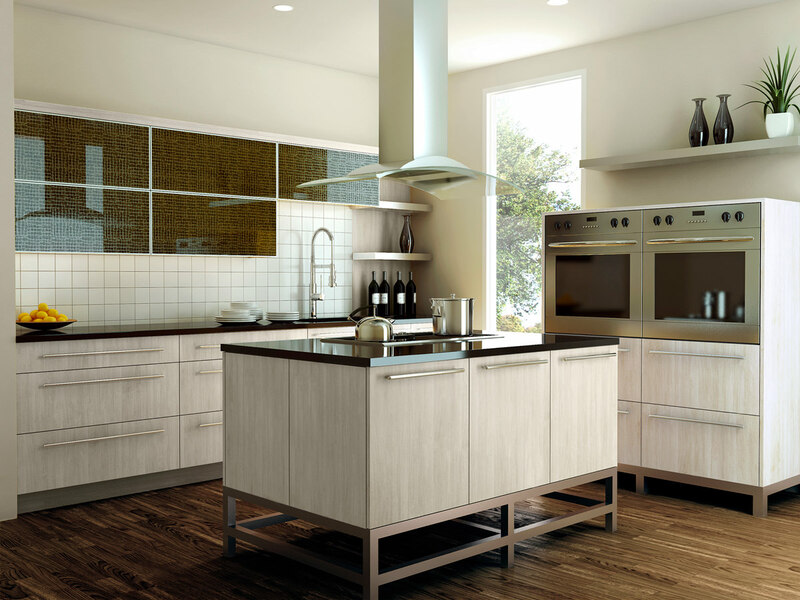 This greater selection of products and the ability to alter sizes provides the freedom to personalize your design with a custom, built-in look and not just another “cookie-cutter” kitchen made from standard sized components. Often, when comparing “apples to apples,” semi-custom cabinets are similar in price to the higher end of stock cabinet lines, and can even come in at a lower price with the increased sizes of cabinets available. Generally, true custom cabinets are the most expensive option of the three. Just as a handcrafted piece of furniture costs more than a mass produced one, it's likely that you will pay more and it will take longer to get custom cabinets built to your specifications. 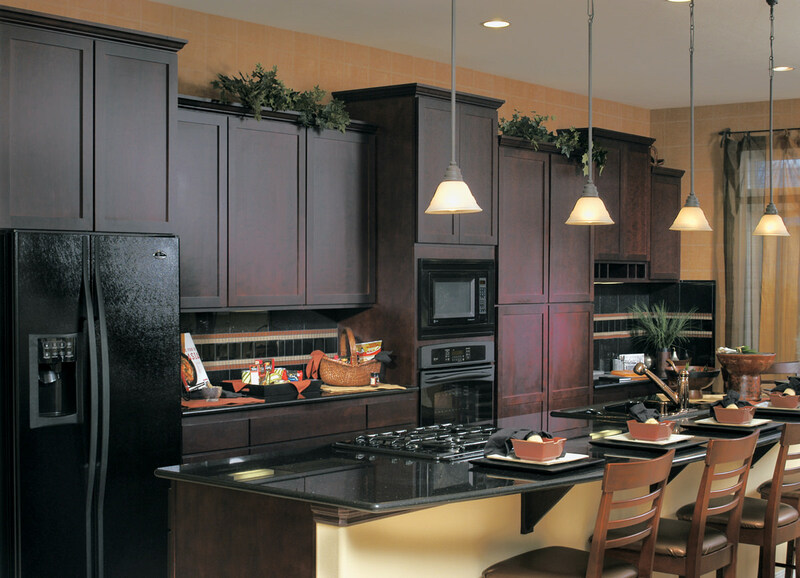 Both semi-custom and custom cabinets are made to order per the homeowner’s room size and selections. With either type, you will receive cabinets made just for your design and home and in the sizes and shapes that you and your designer decide. You will also be able to have your personal preferences and creative elements built right into the cabinet design. “Custom cabinets” is a designation that can be confusing to the consumer. Small, local cabinet shops may describe themselves as “custom” to differentiate from manufactured cabinets while having little or no variance in materials, styles, and the offerings from a semi-custom manufactured product. Some custom manufacturers truly offer products that are superior in materials, craftsmanship, and design, and these can be either small shops or large factories. Semi-custom cabinets produced by a larger cabinet manufacturer are finished in a moisture- and temperature-controlled environment to achieve the quality and consistency of a long-lasting, furniture-type finish. A factory-applied finish also ensures that potentially harmful VOCs are not created or used within the environment of your home. Small cabinet shops with skilled carpenters and woodworkers will often carry a semi-custom cabinet line to complement their own custom work. They can also integrate custom architectural millwork and design details throughout the home that complement the cabinetry. Whichever type of cabinets you choose, make sure you see actual product samples so that you can examine the quality and workmanship firsthand, before you buy them. Also be sure to enlist the help of an experienced cabinetry designer and installer to ensure you get the craftsmanship worthy of your investment and the exact design features you want to fit your budget and style. Read more from Cindy on the Dunn Solutions blog. Decaying on the original under-framing of this historic front porch requires shoring it up to keep it stable and beautiful for years to come. We asked an epoxy expert about the basics of rot damage, including how to determine whether it’s time to repair or replace a rotten area.